Beyonce said put a ring on it.. and maybe this Valentine’s day, you could be doing just that! 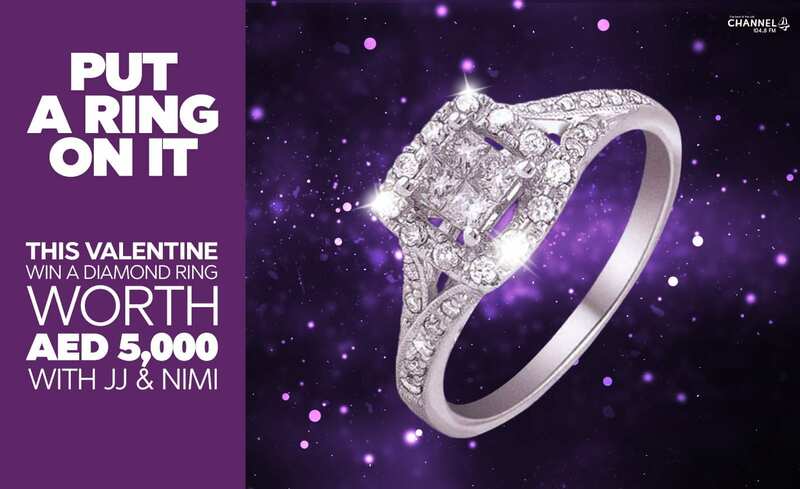 JJ & Nimi are spreading the love with 5 beautiful diamond rings to give-away, each worth 5,000 Dirhams! You could win it as a nice present, a token of love, or maybe the final excuse for you to make that big proposal! Just fill out the below form & tell us who would you give the ring to and why for a chance to win.